Simply put, garden sheds allow homeowners to maximize the area in their backyard and make the most out of their outdoor space without spending too much. However, once you decide you want to buy a shed, there are a few things you should bear in mind to make sure you invest in a shed that best suits your needs. At the moment, you are probably sure why exactly you need more room, but think about the fact that you might also need a bit more space for other things in the future. Thinking long-term will help you choose a shed that will serve you years to come. Traditionally, outdoor sheds have been used as garden sheds, storage units, tool sheds, workshops, etc. In today’s modern time, however, people are converting their sheds into backyard bars, office spaces, tiny clubhouses, and whatnot. So, for that very reason, consider if you might want to change its purpose in the coming years and invest in a shed that’s versatile enough to accommodate most of your needs in the foreseeable future. The most common materials for sheds are metal, wood, resin and plastic. The material you choose should be suitable for the main purpose of your shed. Steel models are popular among Aussies – they are ideal for small gatherings and are easy to customize. Wooden sheds are more aesthetically pleasing as they can be cut and painted in specific ways. Their disadvantage, however, is the fact that they require regular maintenance. Some types of wood need to be treated with wooden paint on a regular basis and some woods may also deteriorate faster than others. Metal and steel sheds, on the other hand, are sturdy and can withstand rain and harsh weather, which means that they require very little maintenance. 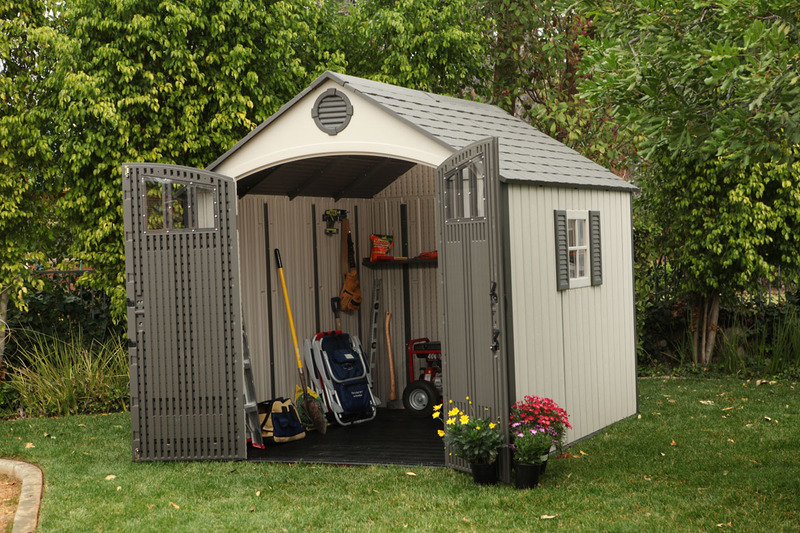 Plastic sheds are lightweight, easy to assemble and also need little maintenance. Checking a product’s reviews before you buy it is always a good idea and social media can be a great place to start. Reading customer’s reviews and experiences should help you determine whether a product is well worth its money. Also, it’s very important to read the specifications on the material of your choice and the warranty terms of your supplier to prevent unforeseen problems.